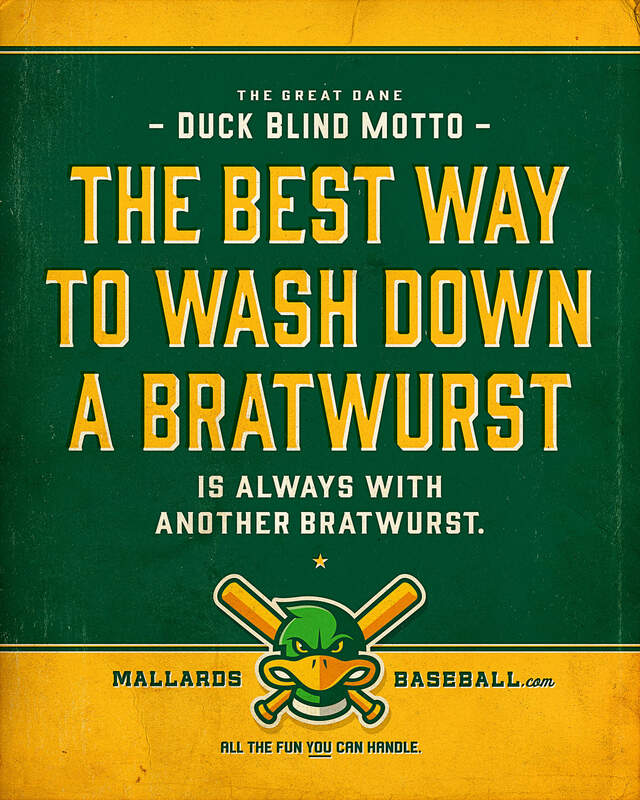 The Madison Mallards have successfully solidified their status as a summer tradition for baseball fans, selling out their ticketed seating at a faster rate than ever before. So even though attendance continues to increase, growing the general admission sales to the Great Dane Duck Blind remained an area of opportunity. 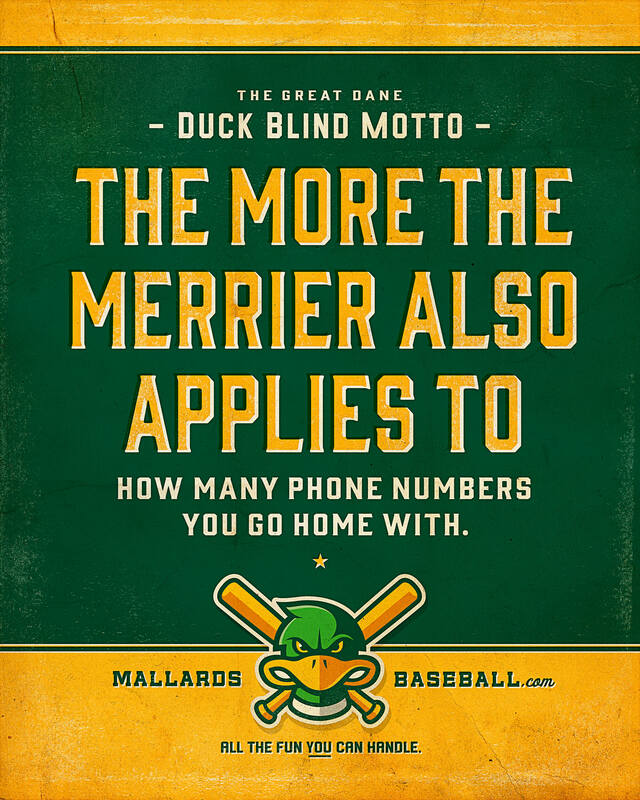 The Duck Blind is a unique outfield ticket option that provides an all-you-can-eat, all-you-can-drink block-party atmosphere that blends baseball, beer, food, and socializing. Shine created a poster campaign that touts the Duck Blind as the perfect option for your summer happy hour. 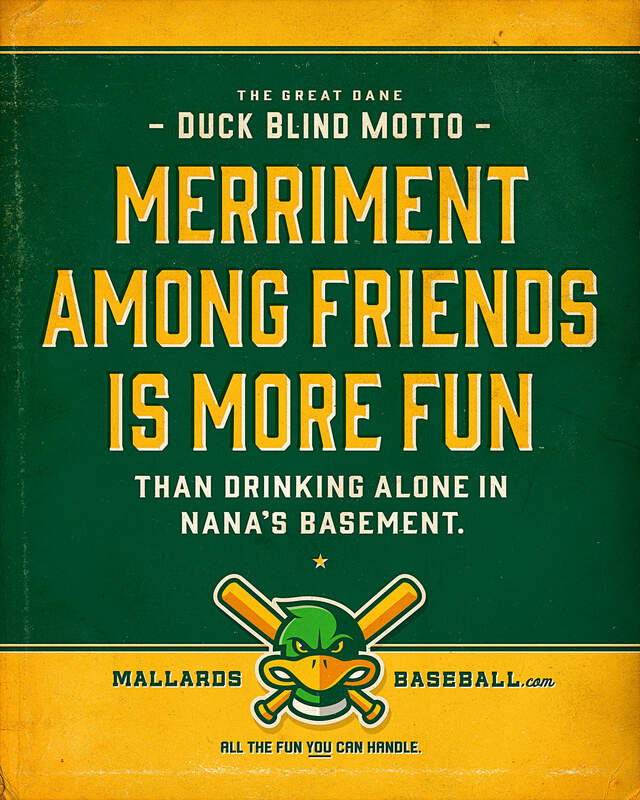 Focusing on the added values that go above and beyond baseball – sharing drinks with friends, mingling, and all you can eat and drink – the posters highlight the Duck Blind as a place for devoted baseball fans and beer lovers alike.